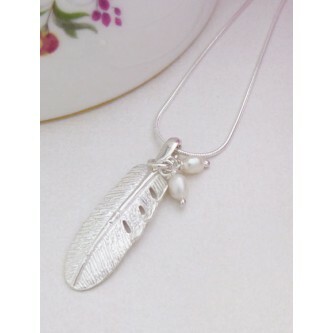 Beautiful silver ladies necklace featuring solid sterling silver feather accompanied by two pretty ivory drop pearls. 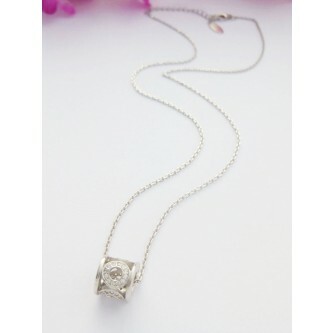 The Poppy CZ circle pendant, a great necklace for sparkle and dazzle! 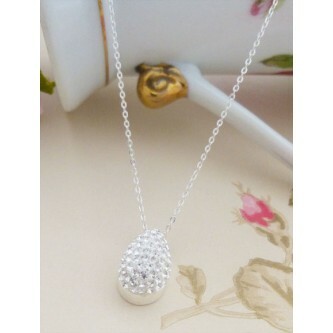 The Lola Silver Teardrop Pendant Neclace, add sparkle with style and understated sophistication! 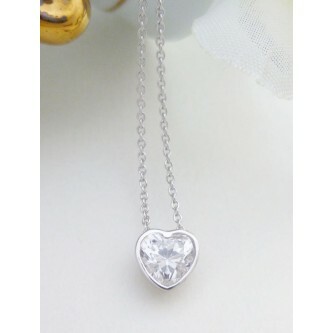 Weighty and beautifully made with really big sparkling cz stone pendant, a show stopping stone necklace! Georgini Manhattan blue pendant, cushion cut with a truly gorgeous finish, a stunning ladies necklace! Beautiful tube pendant in sterling silver featuring four circles filled with sparkling cz stones! 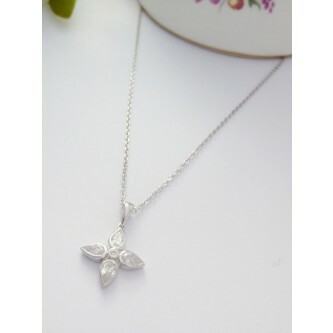 Beautiful ladies four leaf flower pendant with cz stones in 925 sterling silver with necklace chain. 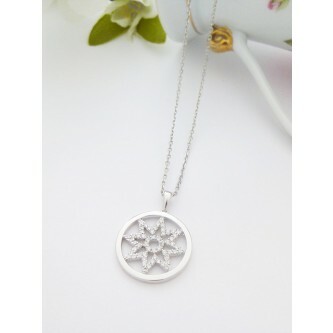 A sterling silver star pendant filled with white cz stones sitting in a round polished sterling silver circle! The Guilty Necklaces range of ladies necklaces with stones in sterling silver. 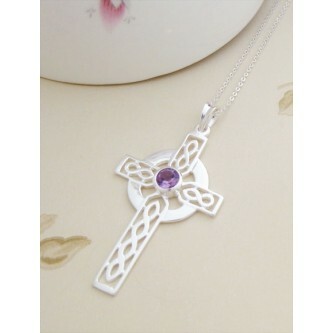 The full range of stone pendants including Cubic Zirconia pendants, Onyx stone pendants, Peridot and Amethyst pendants in a range of styles, all with sterling silver necklace chains. All of the Guilty Necklace range are suitable for women with different styles, including some with optional silver necklace chain styles in fine chain or snake chain and three different lengths. 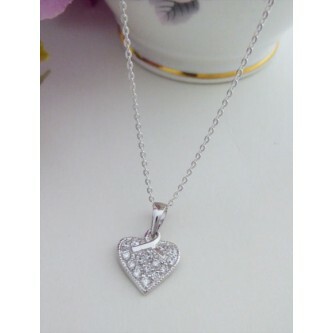 At fantastic prices, all of our ladies silver necklaces with stone pendants come with free and secure delivery ccovering the UK, this is usually signed for or special delivery. They are delivered to you in beautiful padded and silk lined necklace boxes designed to keep your stone necklace in perfect condition. Whether you are looking for a stone necklace with a large cushion cut Cubic Zirconia stone or a small amethyst stone pendant, we have a great choice and all come with the trust guaranteed with the Guilty brand. The range is compiled for ladies looking for an elegant and unusual silver necklace, perfect for a party night out or day wear to compliment a range of looks. 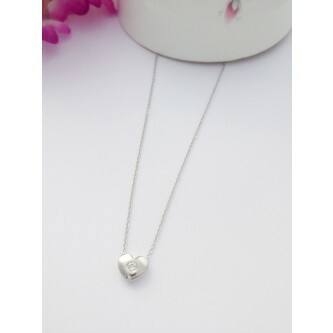 These necklaces are hand picked from a range of UK necklace suppliers, the Guilty team always put quality first and value for money is essential. So if you are looking for a unique and unusual necklace in sterling silver that is hallmarked in the UK, then look no further.